Former UFC heavyweight champion Maurice Smith enters the UFC Hall of Fame class of 2017. 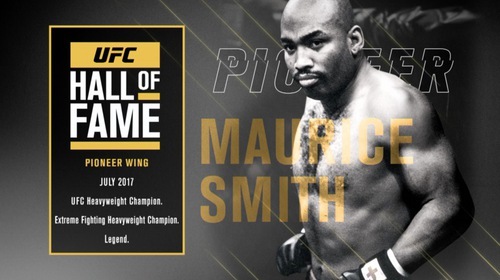 UFC Hall of Fame: Maurice Smith Apr 22, 2017 (2:31) Former UFC heavyweight champion Maurice Smith enters the UFC Hall of Fame class of 2017. Maurice Smith vs Mark Coleman UFC 14 Jul 27, 1997 (34:46) In the night’s main event, the newly crowned inaugural UFC Heavyweight champion Mark “The Hammer” Coleman aimed to make his first title defense against a debuting decorated kickboxing champion and veteran of the Japanese MMA scene, Maurice Smith. Maurice Smith vs Tank Abbott UFC 15 Oct 17, 1997 (22:17) In his first title defense since winning the belt from Mark Coleman, UFC Heavyweight champion Maurice Smith entered the Octagon ready to use his dynamic striking skills against the blunt force brawler and fan-favorite David “Tank” Abbott. 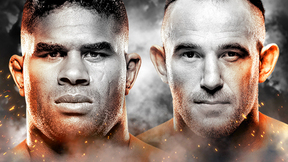 Maurice Smith vs Marco Ruas UFC 21 Jul 16, 1999 (28:02) It’s always a “superfight” when former champs collide as former UFC heavyweight champion Maurice Smith would need to use his scintillating striking skills to take on UFC 7 tournament winner and BJJ blackbelt Marco “The King of the Streets” Ruas. Kevin Randleman vs Maurice Smith UFC 19 Mar 5, 1999 (29:23) In his first fight back since losing the belt, former UFC heavyweight champion Maurice Smith put his stand-up skills to the test against debuting ground and pound master, former 2x NCAA Division I National Champion wrestler Kevin Randleman. Maurice Smith vs Bobby Hoffman UFC 27 Sep 22, 2000 (26:56) In the wake of his classic win over Marco Ruas at UFC 21, former UFC heavyweight champion Maurice Smith continued his trek toward the title taking on an experienced MMA veteran riding a 10 fight win streak - Bobby “The Truth” Hoffman. 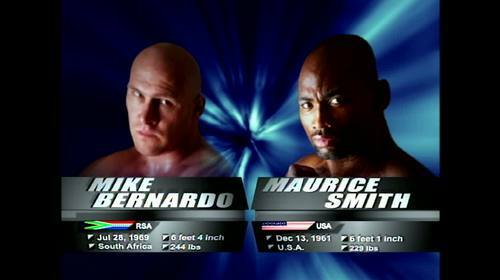 Renato Sobral vs Maurice Smith UFC 28 Nov 17, 2000 (24:45) In the co-main event struggle, former UFC heavyweight champ Maurice Smith, who was angling to get back to the title, took on Brazilian jiu-jitsu blackbelt, Marco Ruas disciple, and 16-2 pro record owning Renato “Babalu” Sobral in his Octagon debut. 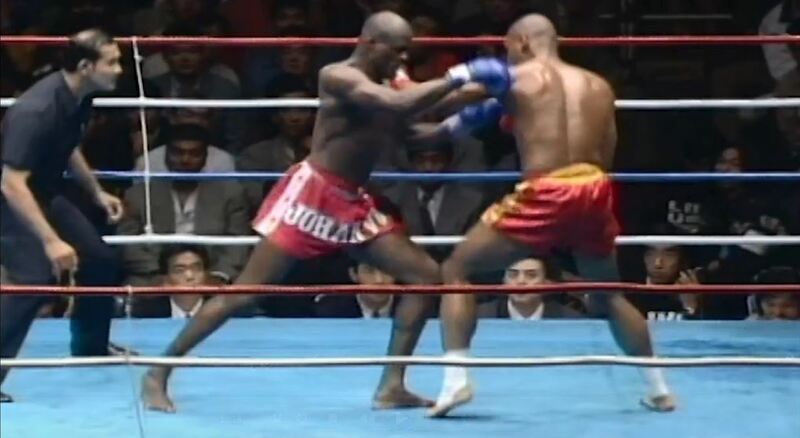 Maurice Smith vs. Branko Cikatic PRIDE 7 Sep 12, 1999 (11:00) A very interesting PRIDE debut match-up, former UFC heavyweight champ & K-1 kickboxer Maurice Smith would test his veteran striking skills against former K-1 World Grand Prix Champion “The Croatian Tiger” Branko Cikatic. Maurice Smith vs Takaku Fuke Pancrase: King of Pancrase Tournament Opening Round Dec 16, 1994 (6:45) Maurice Smith vs Takaku Fuke at Pancrase: King of Pancrase Tournament Opening Round from December 16, 1994 in Tokyo, Japan. Bas Rutten vs Maurice Smith Pancrase: Eyes of Beast 4 May 13, 1995 (8:06) Bas Rutten took on old rival – and future UFC heavyweight champion – Maurice Smith. Maurice Smith vs. Rick Roufus Strikeforce: At The Dome Feb 23, 2008 (9:34) A collision between two American striking legends as multiple-time kickboxing & full contact karate champion Rick “The Jet” Roufus made his Strikeforce/MMA debut in a rematch of sorts against former UFC heavyweight champ Maurice Smith. Randy Couture vs. Maurice Smith UFC 15.5 Dec 21, 1997 (35:55) Ultimate Japan 1’s main event saw UFC heavyweight champion Maurice Smith angling to successfully defend his title for the second time against UFC 13 tournament winner and former 3x NCAA Division I wrestler Randy “The Natural” Couture.